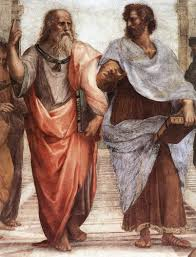 Raphael’s The School of Athens, depicting Plato and Aristotle. Last week I mentioned one positive lesson Christians can take from Karl Marx. That may seem like a strange statement at first blush. After all, Marx was an atheist, a collectivist, and a violent revolutionary. Hardly the sort of fellow a Christian should look to for philosophical guidance. And yet, there is one aspect of his program that does recommend itself to the Christian: he was a systematic thinker. He didn’t randomly throw ideas together, but sought to develop a unified worldview based on certain philosophic principles. Systematic thinking, systematic philosophy, has tremendous power. So much so, that even an evil system of thought such as Marxism can take the world by storm. Christianity also is a system of thought. But unlike Marxism, or Kantianism, or Objectivism, or any other system developed by man – what the apostle Paul deemed “the wisdom of this world” – Christianity is a revealed system of thought. One could even call it a revealed system of truth. For Christianity reveals the mind of God, the truth that comes from God, in every area of intellectual inquiry. But even though Bible-believing Christians would be the first to defend the Word of God as inspired, inerrant and infallible, too often their thinking, and thus their practice, betrays a certain amount of inconsistency. The Bible, in the view of many Christians, is good for learning about God, sin, and salvation in Christ. But when it comes to questions of philosophy, well, the Christian will have to go to the experts. This always means the secular philosophers. Thomas Aquinas is the ultimate example of this approach. In his case, he attempted to combine revealed ideas from the Bible with the empirical philosophy of the pagan philosopher Aristotle. The resulting system called Thomism is now the official philosophy of the Roman Catholic Church-State. It is also, unfortunately, the philosophical system of many Evangelicals. Well known evangelicals such as R.C. Sproul and Norman Giesler both espouse Thomism. And while Aristotle and Aquinas were brilliant men, neither one’s system of thought was Christian. By following Aquinas, these Evangelicals unknowingly undercut their Christian witness. In one of his lectures on philosophy, John Robbins made the point that a major weakness of the Reformation was the fact that it never produced a systematic philosopher. That is, no one, at least in any coherent way, ever attempted to apply Scripture to the problems of philosophy. That is, no one until Gordon Clark. With Clark’s work, Christians for the first time were furnished with a Biblical system of thought capable of meeting and defeating all rivals in all fields of intellectual endeavor. In some ways, it is hard to believe that it took so long for this to happen. Yet happen it finally did. And as Christians we can take great delight in this. My goal in this and in the next few posts will be to summarize the basic ideas of Christian philosophy using John Robbins tract What is Christian Philosophy? as my guide. Christians can lean lessons in the oddest places, even from the likes of Karl Marx. 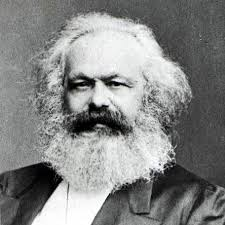 Marx, of course, was the 19th communist radical whose ideas have proven to be one of the dominant forces in the world over the past 100 years. Now before you think I’ve gone off the deep end, I can assure you I’m not sporting a Che Guevara T-shirt or making plans to visit to Fidel Castro. No, my praise for Marx has nothing to do with his ideology, with which I vehemently disagree. But if not for his ideology, why would I praise him? What would a Christian writer find praiseworthy about a militant atheist whose considerable body of work was radically opposed to Christianity and has proven to be the cause so much misery in the world? The short answer to that question is this, Marx was a systematic thinker. It was a Christian video series on worldviews that started me thinking about this. Marx was an atheist, and his atheism imbued every aspect of this thinking. Marxist views in the fields of politics, history, economics, sociology, psychology, ethics, etc. all can be traced back to atheist assumptions. Marxist ideas about a particular subject, economics for example, are not divorced from Marxist ideas on other subjects. Marxism is not a random collection of ideas, but a system of things thought out together. This is what gives Marxism much of its appeal. It provides, or at least seems to provide, people with a unified worldview. And this unified worldview is a powerful motivating force. “What practical difference,” asked my friend across the breakfast table, “does Calvinism make in your life?” In truth that really wasn’t the question that I wanted to hear that morning. The fellow I was sitting with was an Arminian and tended to be a bit of argumentative. What was more, it was Saturday morning after a long work week. I would have preferred to talk about baseball, or even yard work for that matter, rather than get involved in a heavy theological discussion. On the other hand, it was a good question. And we don’t always get to pick and choose our opportunities to witness, so I made my case. And as I’ve thought more about our discussion over the past week, it seemed good to me to set down in writing some of what I said. I was raised as an Arminian. More specifically, I grew up attending the Church of Christ, which had its roots in the Campbellite Restoration movement of the 19th century. For those who aren’t familiar with the Campbellite movement, its most notable founders were Thomas and Alexander Campbell, father and son preachers from Ireland. Although both had been Presbyterians, the church they founded practiced credo-baptism, was congregational in its government, and Arminian in its teaching. It’s been pointed out by others that Arminians don’t sing like Arminians, they sing like Calvinists. This was certainly true in my church. We’d sing all the standard Calvinist hymns, but the preaching was all Arminian. It always seemed to me that I met two different Gods on Sunday morning. There was the sovereign God of the hymnal, whose counsel stood and who did whatever he pleased. And then there was the weak god of the pulpit, who had to respect human will. Jesus was knocking, but you had to open the door. He who justifies the wicked, and he who condemns the just, both of them alike are an abomination to the LORD. 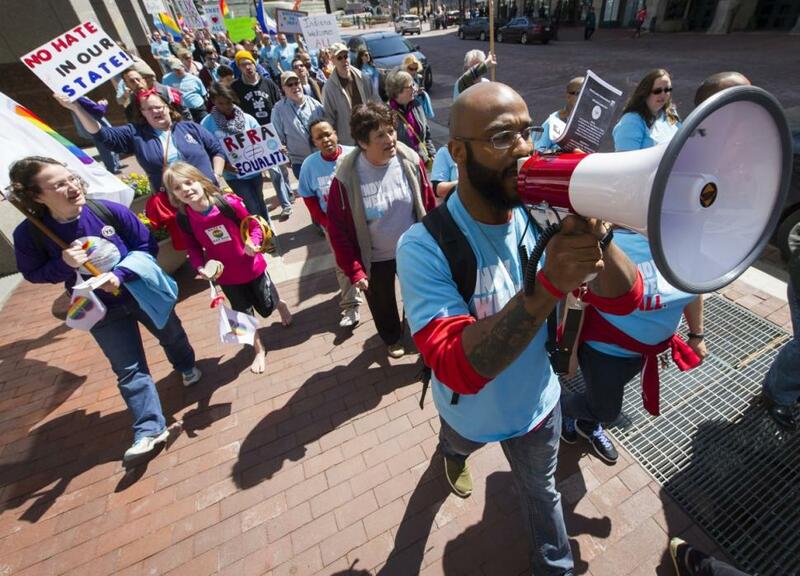 Protestors in Indiana march against the Religious Freedom Restoration Act. It has been an eventful past week and a half for the Hoosier state and Governor Mike Pence. His signing of the Religious Freedom Restoration Act (RFRA) on March 25 kicked off a two minutes hate of the sort we have come to expect from the nation’s self-appointed guardians of righteousness. In their eyes, toleration – at least toleration of homosexuality – is the most noble of virtues, and its lack the most heinous of sins. But it’s more than that. The lack of tolerance, in their view, should be a crime punishable by the state. When a business owner refuses his talents in the service of a homosexual wedding, it is the businessman, not the homosexual, who is in the wrong and deserving of punishment. Those who believe this are increasingly in control of civil government in the US. According to the apostle Paul in Romans 13, the two functions of the civil government are to punish those who practice evil and praise the good. But more and more, this is being stood on its head. Instead of seeing to its God given responsibilities, civil government has increasingly become an instrument for justifying the wicked and condemning the just. There have been numerous cases in recent years in which Christian business owners have been dragged before courts and civil rights commissions on account of their refusal to take part in homosexual weddings. And not only that, but they have been found guilty of civil rights violations and incurred heavy fines for nothing more than following the teachings of Scripture. Consider the following cases.